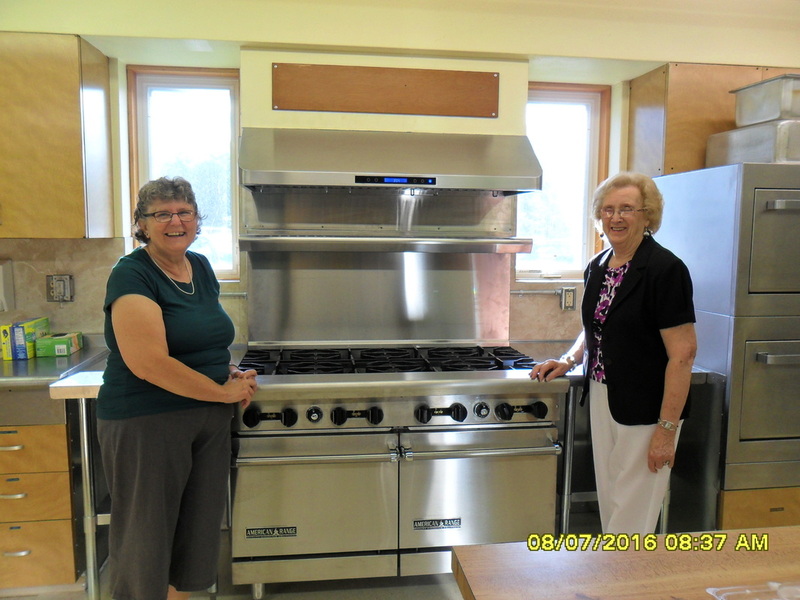 Lois and Elsie are excited for the new stove! Thank you to all who made this necessary purchase a reality. See Bessie or Jan and get your copy before they run out! Join a circle at any time. Call the church office for meeting dates, times, and places. The Ladies Aid has napkins and Christmas cards for sale year-round. Cards are available for purchase at the west entrance. Cards are $.50 each. You may also purchase boxes of cards for $5.00 each. Use an envelope provided near the card rack, then place in the offering plate, or the church secrataries mailbox in the fellowship hall. We welcome anyone to come and join our group, it's ALWAYS a fun time!! !